If you’re wondering what to do in Mai Chau for your upcoming trip, this Mai Chau Travel Guide is just what you need. Mai Chau is an attractive destination not only to international tourists to Vietnam but to domestic travelers as well. The idyllic valley of Hoa Binh Province offers great day trips from Hanoi on the weekends, especially when it’s only 130km away. You’ll find yourself getting lost in the nature with green forests, gentle hills, and stilt-house villages. Come to Mai Chau is to come to a laid-back northern village of Thai people, to be a part of a culture, a way of life so different from where you’re from. Mai Chau is indeed the place for those who seek peace of mind, a scenario without the bustling urban noises and come back to what are basics to human’s happiness – beautiful nature and friendliness of the people. 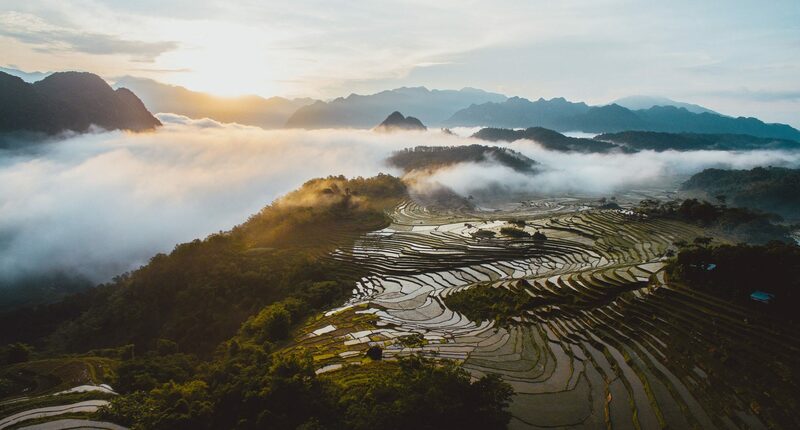 Mai Chau Valley has some serious draws for a trekking tour or cycling tour: green rice fields, mountains in the backdrop, gently flowing streams. So why not get out, get a bike or your shoes on for a great trip to the countryside. The dirt roads of Mai Chau won’t be a challenge and you can always stop to rest and admire the scenery. Get into the ethnic village to enjoy their hospitality, their authentic way of life and of course, the food. Local hotels or homestays can guide you through to rent a bike. Trekking packages can cost more than $40 a day. Or you can just book our Mai Chau tour with 2-hour cycling/trekking tour included in the in itinerary. You can find at Lac Village a fairly large range of cheaper options for homestay. This is one activity you can save up money and at the same time, interact with local Thai family. The houses of Thai people are traditional stilt houses with 2-storey structure, the first floor for keeping livestock and the second floor is the family’s living space. Sleeping condition will be the exact same as that of the host family. Futon, blanket, mosquito net and fan will be prepared. Toilet and shower are up to western standards. Homestaying at a local stilt house, you’ll have chance to watch traditional dances and singing performed by the villagers. It’s an absolute must-do activity in Mai Chau. Lying next to Lac Village, Pom Coong Village is a Thai village that is less touristic than its neighbor with just equally beauties and attractions. Come to Pom Coong to enjoy the idyll nature, wooden stilt houses, traditional performances and Can wine – a communal and festive drink. In the list of the best things to do in Mai Chau, it would be a mistake to not include Thung Khe Pass, a famous Mai Chau site to enjoy the views. 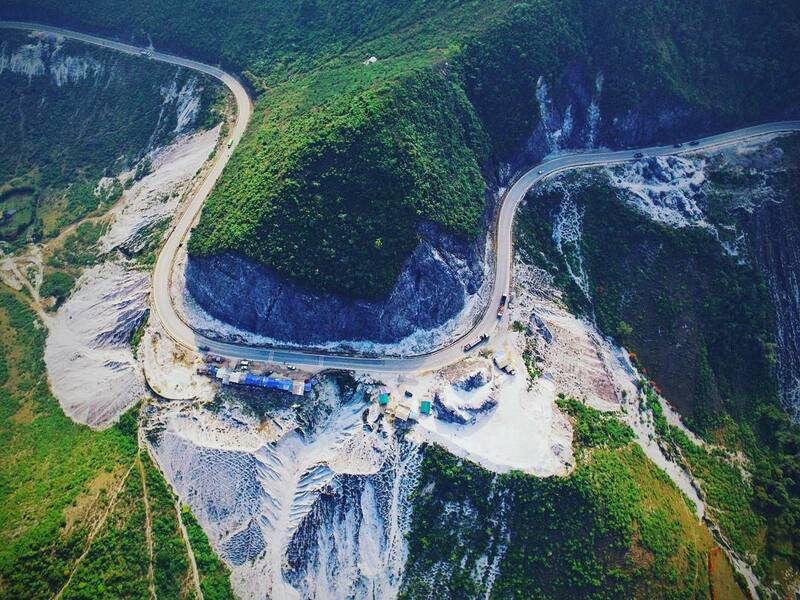 The pass is on an altitude of about 1000 meter above sea level, cutting through mountain cliffs with a perfect curve. To be more comfortable to enjoy Thung Khe’s views, it’s best to come to Mai Chau by motorbike. Buses to Mai Chau also stop here for a while. It’s such a shame to miss the local foods while admiring the view below. Note down few of them: boiled eggs, grilled corn, sugarcane, sticky rice ‘com lam’. Thai women are famous for their weaving skills like every women of the any hill tribe on the mountains of Vietnam. Buying brocade products is not only worth your money but also helps the local community prosper without abandoning their traditional practice. 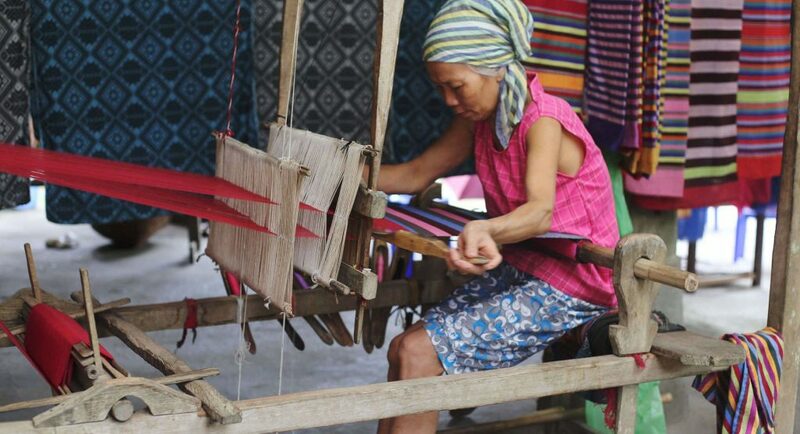 In each family in Mai Chau there is a loom where a women works on her fabrics for all her life. 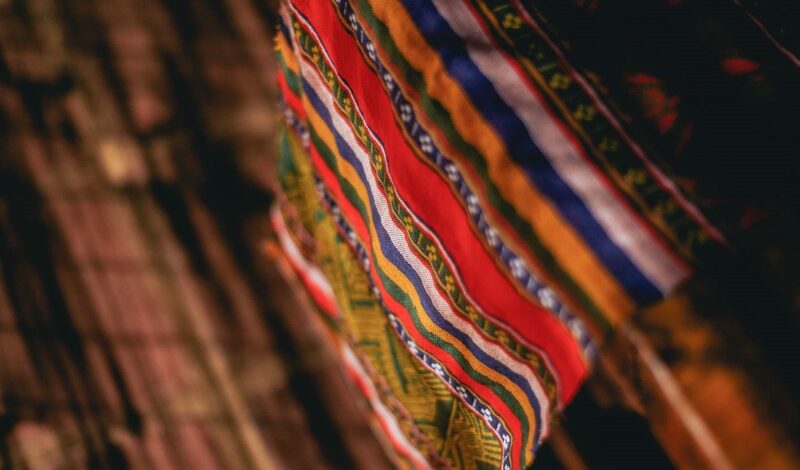 Thai brocade fabrics has been known for the rich colors, raised patterns and recent years, very stylish and fashionable. Silk brocade and hemp brocade are made and dyed meticulously and entirely from natural elements. You can rest assure that the fabrics are not toxic to your skin at all. If you’re a fan of caves and underground world, Mai Chau Valley has names such as Mo Luong Cave, Chieu Cave, Pieng Kem Cave. 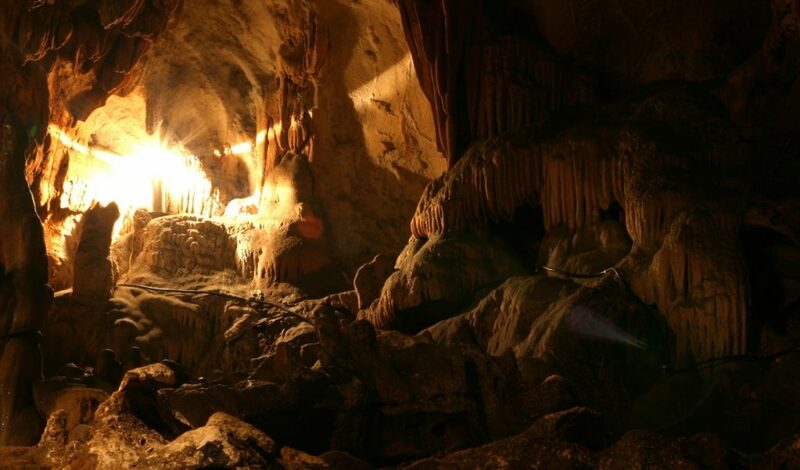 The most famous is Mo Luong Cave which boasts marvelous blocks of stalactites, located not very far from Mai Chau. Its two entrances overlook to the stretching rice paddy fields and the villages. It’s a great place for a half-day hiking tour. Other cave that deserves honorable mention is Chieu Cave to which you can only reach through a staircase of 1200 steps. If you are looking for a challenge, try conquer Chieu Cave. Walking inside the two interior chambers of a cave has never felt so rewarding. Pu Luong Nature Reserve is only 35 kilometers away from Mai Chau, making it a refreshing day trip from the valley. With magnificent mountain ranges, stunning rice terrae fields, scenic rivers and waterfalls, breathtaking mountain passes and remote traditional villages, Pu Luong is truly a microcosm of Northern Vietnam. *Things to do in Pu Luong: cycling, trekking, rafting, kayaking, and exploring the local culture. Located 13 km southwest of Mai Chau, Mai Hich with 96% of Thai ethnicity, poetic Xia stream, primary forest and palm hill, is a perfect stop on your exploration to North Vietnam. For those who want to stay away from the touristic Lac Village, Mai Hich is your perfect option for it is newly discovered and supported by COHED Research Center for Public Health and Development. 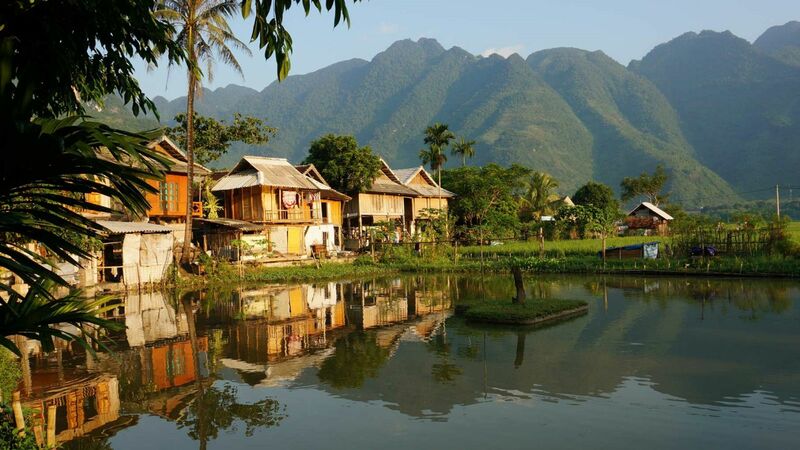 Mai Hich is the star in our Mai Chau tour where you can enjoy the nature, take in the vivid picture which depict the culture and lifestyle of the villagers. This village is an ideal place for visitors to join in practical activities namely going bicycle through vast rice paddies or hidden ways inside the rural town and take the bamboo rafting through crystal clear stream. On every Sunday mornings, Pa Co fair market takes place like a small weekly festival to the ethnic people here. Pa Co Market is where you can witness the customs and habits of Hmong culture. Lying between Mai Chau and Moc Chau, Pa Co Market is the meeting point of two ethnic groups: Hmong from Moc Chau and Thai from Mai Chau. The bustling atmosphere of the market is so special compared to the quiet feeling of the weekdays. People will bring their self-made and self-grown products trying to sell to others. Pa Co Market is a unique experience to do in Mai Chau. Visiting Mai Chau without tasting Mai Chau's delicacies will make your trip an incomplete experience. 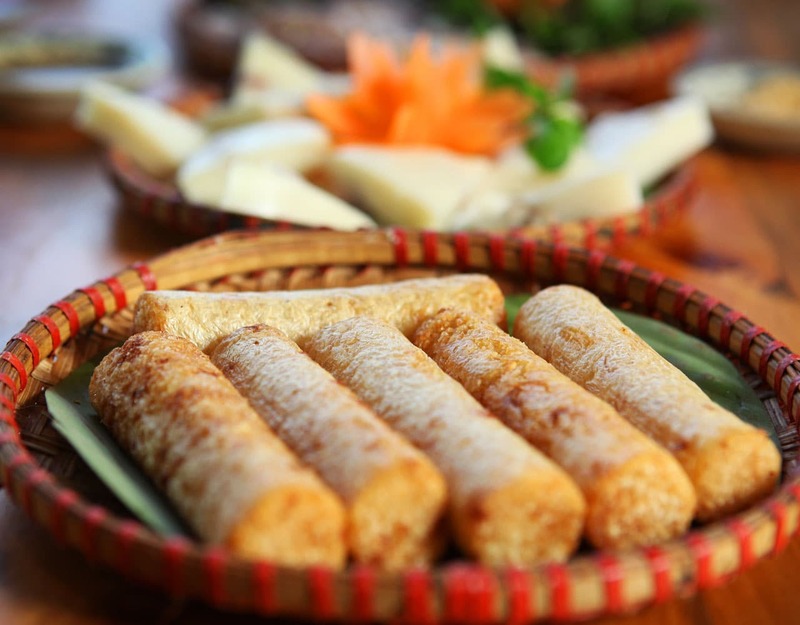 In Mai Chau valley, you can find all the distinctive dishes of Northwest Vietnam. Homestay families in Mai Chau offer traditional meals at reasonable prices. You can have a Thai dancing performance accompanied with the meal you if want. The dishes are very local: sticky rice, grilled meat, bamboo shoots and ‘Can’ wine. Enjoying the meal with the locals, like the locals will make your trip to Mai Chau even more special and meaningful. The highland pigs are naturally raised by the locals in Mai Chau. The pork meat is known for lesser amount of fat and tastiness. Com Lam is the most famous Thai dish which you can find easily in Mai Chau. Boiled rice in small long roll of bamboo make the food taste well. It is soft, sticky, and aromatic. You can find this dish in Lac Village around March. This dish is a specialty of Muong people. Bacon is cut into pieces that are equal to knuckles. Every piece is wrapped by half of a grapefruit leave, which then grilled on coal. During the cooking, the flavor of the pork is added by the leaves' aroma. The festival is celebrated by Thai people to wish for rain therefore bountiful rice crops. A group of boys and girls will wear hats and raincoats gathering on a large playground. They will go into the house of the oldest woman in the village to sing the prayer for rain. They all together proceed to the outside field to join the ceremony. Other activities are torch procession around hamlet, singing on the spring banks and pouring water on one another. 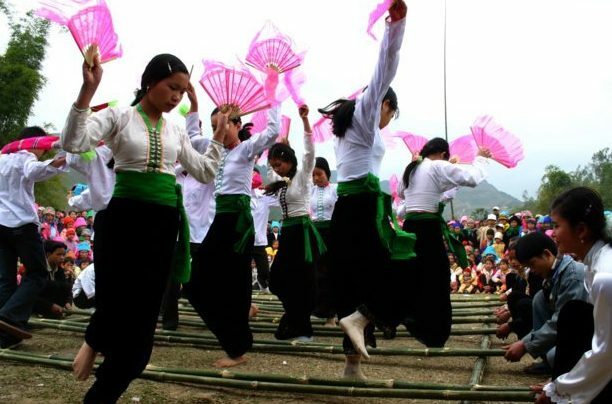 This festival takes place in the spring, is celebrated by the Thai people in Mai Chau and other provinces in Northwest Vietnam. The event is to honor the village's founder, to remember the gods who created the land and wish for good health and happiness to the Thai people. There're several folk games such as con throwing, singing, playing the flute and bird-singing competition. Thanks to good road condition, getting from Hanoi to Mai Chau is quite easy. Follow National Road 6 and you’ll get to the valley after 3 hours by car and about 4 hours by motorbike. The path to Mai Chau is relatively steep but not too difficult and harsh for driving so if you want to come over the top of the pass by yourself, let’s give it a try! But the best convenient way for you is taking daily buses (in My Dinh and Yen Nghia station) or taxis or just booking a fully Mai Chau authentic package tour in order to enthusiastically relax your own trip.